Here it is! 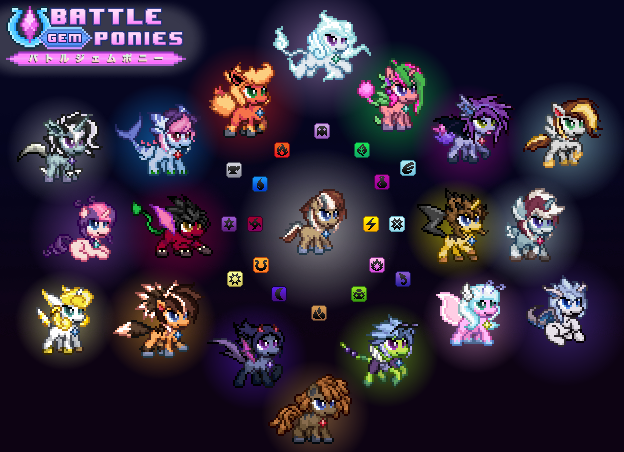 This game's Eevee equivalent and starter pony Ponatina and all 18 of her various specialized forms. Which is your favorite? Which looks the worst? I'd love to read your thoughts on them in the comments. Get the rest of this week in gamedev below! Deciding on colors sucked. This one took the longest and the last choice came down to this group. Friends make for a great focus testing audience for the small stuff. Just ask what they think is the best and worst of something and they'll be honest about it. (or at least the more critical/picky friends will) And that always leads to a better end product. I think I should save explanations for how each Ponatina form works for Pony Roster posts in the future. 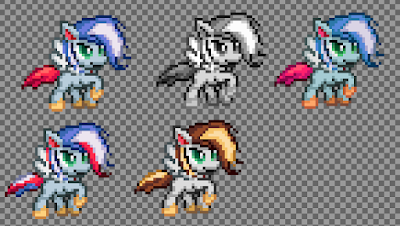 But I won't be doing those until I have all the ponies and their Ultra Sprites cemented. Surprised to see Unicorn Training Demo only get downloaded a couple thousand times over the last month. It usually does that much in a single week! Guess the app store is filling up with all kinds of new goodies and my game's getting knocked off the charts. 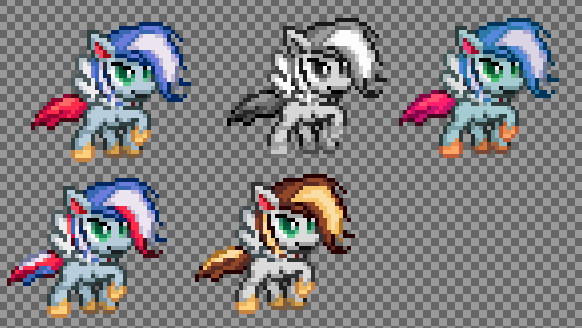 Time to get back on top of the list with Battle Gem Ponies. Right now I'm gathering feedback on my pony designs and making a few last tweaks & animation notes before I show them off here. The starters you see in the header were already altered in minor ways over the course of a day. Feels good to see people get excited about the project. Can't wait to hit alpha and just focus on making it all look pretty and play better.